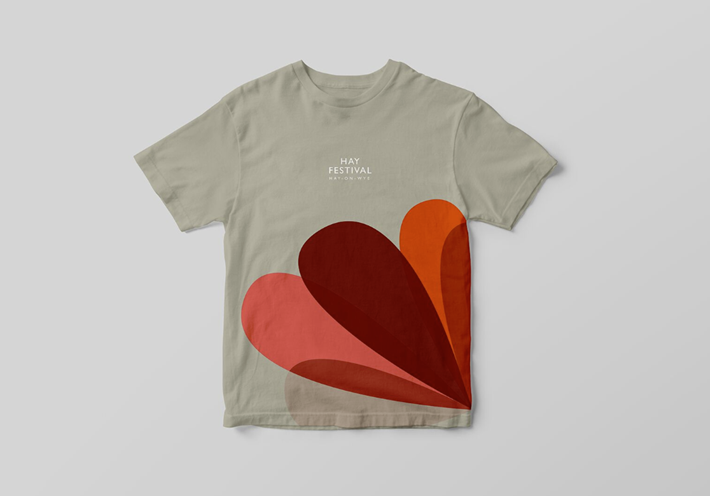 The Hay Festival has a new look that changes its colors with each of its international festivals, and the fledgling BKS agency has a London Book Fair sale to Canongate. 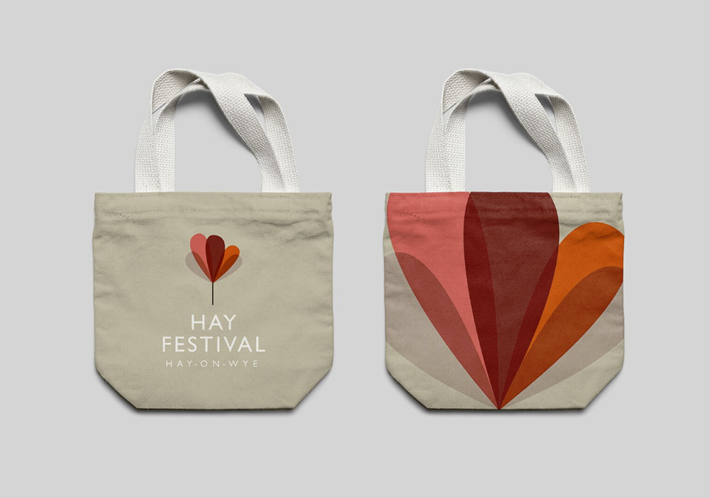 In the run-up to its 2019 outing at Hay-on-Wye (May 23 to June 2), the Hay Festival’s administration has today (March 21) released a springtime freshener in branding. The scheme is developed by London design consultancy Pentagram, and it includes modulations in its hues for each of the program’s international festivals. At Pentagram, designer and partner Marina Willer is quoted, talking about “the challenge of creating a single visual framework for an organization fixed in plurality. 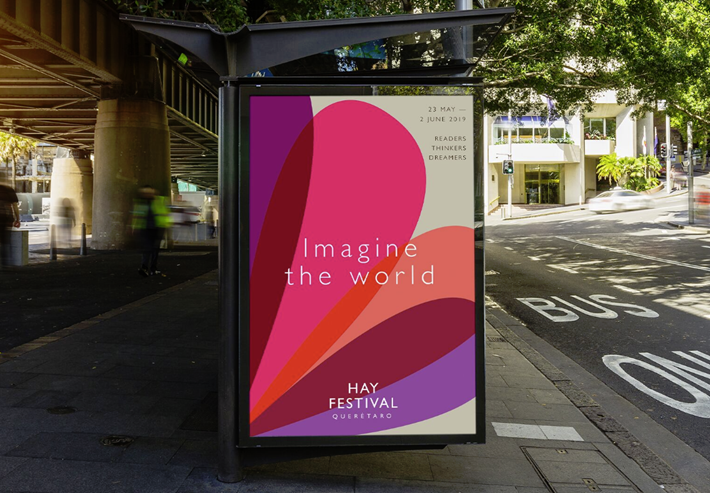 And speaking for the Hay, the company’s international director, Cristina Fuentes la Roche, says, “This is a new look for a new Hay Festival era. The non-profit Hay Festival is backed by its foundation, a registered charity created to support the aims of Hay Festival in the UK and internationally. The foundation stresses access, inclusion, and the pursuit of excellence, according to organizers, and is supported through philanthropy and charitable grants with donations welcomed. Publishing Perspectives readers will remember our feature in December with Jason Bartholomew, Jessica Killingley, and James Spackman, each of whom were fleeing trade house positions to work together in a new literary agency in London, the BKS Agency. Last week during the London Book Fair—as some of their former employers held busy meetings on the great trade stands of the show—the BKS team announced the acquisition from Bartholomew of world rights to Janie Brown’s Radical Acts of Love: Conversations From the Heart of Dying by Jamie Byng’s Canongate Books in Edinburgh. Bartholomew tells us that the title was bought in a “significant pre-empt” by Canongate senior commissioning editor Hannah Knowles. 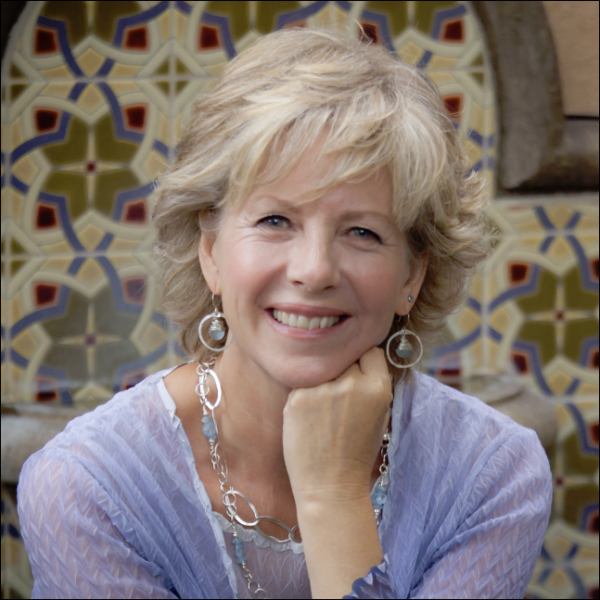 In describing the book, Bartholomew, who also is joint CEO at Midas Public Relations, says that Brown, a 30-year oncology nurse and counselor with terminal cancer patients, has recounted “20 conversations she’s had with the dying, some of them people close to her. “Each conversation uncovers a different perspective on, and experience of death,” he says, “while at the same time exploring its universalities. The book is expected to be in Canongate’s 2020 catalog for spring, when Edinburgh looks its best. More from Publishing Perspectives on the Hay Festival is here, on literary agencies is here, and more from our Industry Notes series is here. 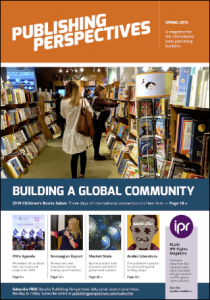 In the magazine, you’ll find issues and players who were important at this year’s London Book Fair and who will factor into other major fairs of the season this year, plus an early look at key points interest about the coming Frankfurter Buchmesse (October 16 to 20).